A message from our family, to yours. Villa Homes was founded in 2013 by Emigdio Villanueva Jr., and his sons Emigdio Villanueva III, and David Villanueva. After watching and helping their father since they were young boys David and Emigdio knew they wanted to follow in their fathers foot steps and create a construction company of their own. With their father’s help they started Villa Homes with one goal in mind, to provide affordable luxury homes in the Rio Grande Valley. Since the beginning Villa Homes has remained true to its clients by providing not only excellent customer service but quality craftsmanship as well because our keen attention to detail and our decades of experience in the industry. When you choose Villa Homes you can rest assured that our team of design and construction professionals will walk you through every decision, keeping both your budget and timeline in mind.Villa Homes is here to help that dream home is built with every detail you had in mind. At Villa Homes, our goal is to help you build the home of your dreams. 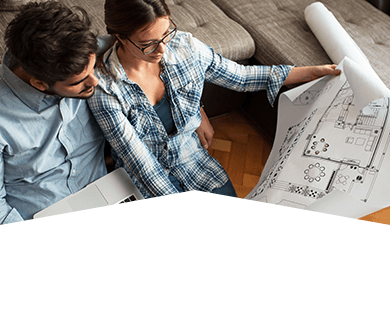 Find out how much you can spend on the construction of a new home with our in-house lender! Do you have a lot to build on? Or do you need to find one? Lets choose that homesite! Our in-house architect will work closely with you to design your dream home. Make final selections on the interior and exterior elements of your new home. Once you finalize the cost of your new home, our lender will help close your loan. Sit back and relax as you watch our talented construction professionals build your dream home. Villa Homes believes in the little things when it comes to building your family’s home. Your home’s superior quality is never an accident – it’s the result of our keen attention to detail and our decades of experience in the industry. Your dream home is built with every detail you had in mind. We start with the very best of the best. Our partnerships with many national name brand suppliers, guarantee that quality, comfort, and style will go into every room of a Villa home. From faucets, to flooring, to the materials on your roof – we use tried and tested quality products throughout the home. The homebuilding process can appear overwhelming at first-but Villa Homes is committed to providing a customer experience that is both enjoyable and rewarding. Our team of design and construction professionals will walk you through every decision, keeping both your budget and timeline in mind.